Gary Rice (Event CD) and Jim welcomed everyone to this year's event. Jim who is the Vice President for District 8 discussed current activities of the AMA executive council. With over 90 pilots and 250 aircraft this was a great event. Andy Clapp prepares to raise the flags for the Pledge of Allegiance at the beginning of the event. The day was warm, the sky was clear with very little wind which made it a great day for flying. At the Pilots' meeting Gary sets the flying rules for the day. Rusty and George manned the registration and impound area. Jen and Sandy Stout worked both days in the concession area. Did a great job! Some of the pilots enjoyed just kicking back and watching. Two flags, a plane and the moon. The pit area had plenty of planes for spectators to see. Spectators could walk behind the pit area to meet and speak to many of the pilots. 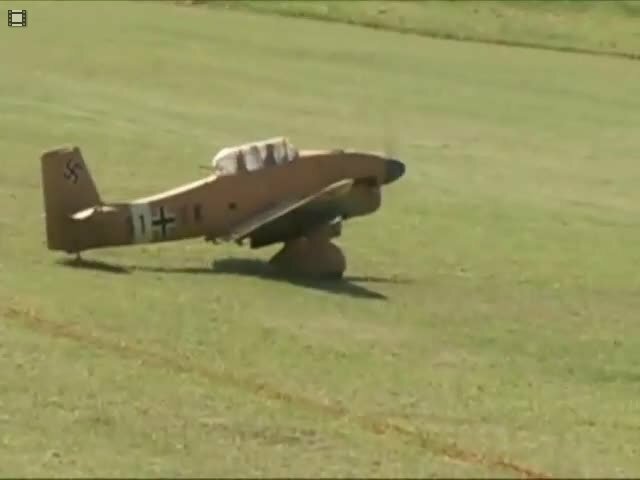 Jim flies one of the last planes his dad built. There were problems and this plane will need some work. Gary Rice and his Flip-Flop Flight. 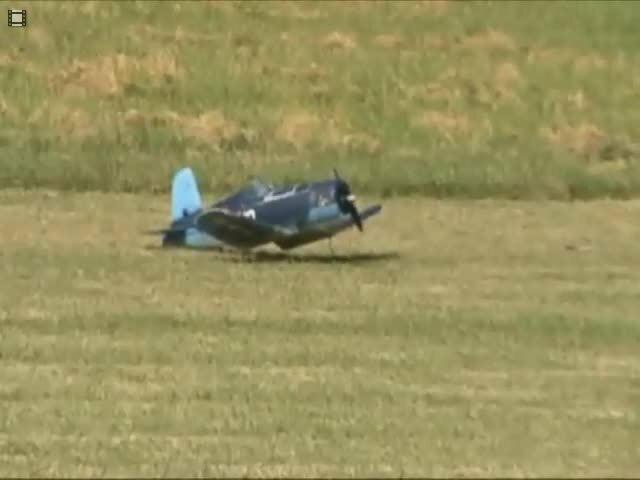 Rick Martinez and his dad with his electric F4U Corsair. Charles Roccaforte in control of his RV 4. Charles with his RV 4. Bill with spotter Keith Coover takes his PT 13 for a spin around the field. Bill Frye and his PT 13 Bipe with a Radial engine . Richard's crowd pleaser the CARF Spark Jet. Richard Evans at the controls of his CARF Spark Jet. Back on the ground safe and sound. Richard Evans flying his Spark Jet. 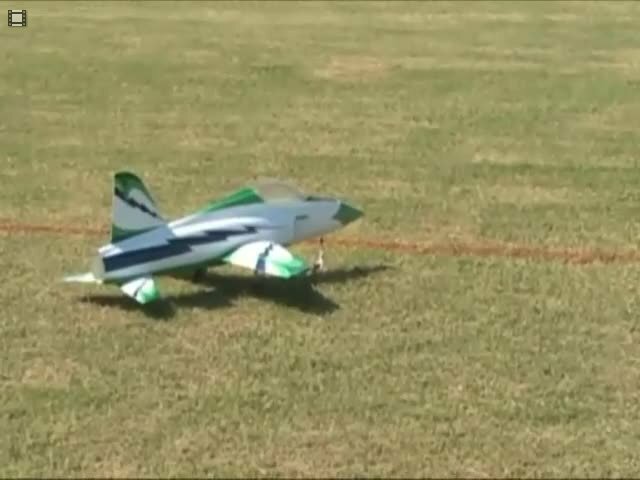 Richard said his plane has a speed around 160mph. Keith Moody shows us his Aeromaster with a SAITO 125. Al Ernst shows off his Cessna 182 Skylane running a G38. Scott won the "Airplane covering contest" for his Widow Maker. Great workmanship. Scott Hooper with his award winning Widow Maker. This was a lot of work with great results. Way to go Scott! Scott with Charles spotting showed the crowd his plane not only looked beautiful but flew great. Butch Mceachern with Keith spotting impressed the crowd with some great flying. Butch is doing a knife edge with a giant aircraft and he made it look easy. Butch McEachern shows off his 40% Cub J3. Tom Valdez with his Super Stearman. Tom's Stearman looks great in the sky. Mark Johnson flies by for a photo op. Great looking WWI aircraft. One of Mark's favorite planes. Plane went dead stick. Mark tried to bring it in but had a hard landing. Now has a new winter project. Frank Simas performing some IMAC maneuvers. Andy finally found a plane he can relate to. Brad brought out his Extra 300 to show the crowd. Brad Morgan Show here flying his Extra 300. Keith Coover flying his Junker 87. Listen to it scream as it makes a steep dive! Keith Coover with his Junker 87. Paul Ludwig spent the event practicing with the buddy box system. Paul's Tiger 60 was a great plane to learn to fly. Paul soloed on his last flight in front of the entire crowd - no pressure there! Jason's Twinstar flies using two OS 35AX engines. 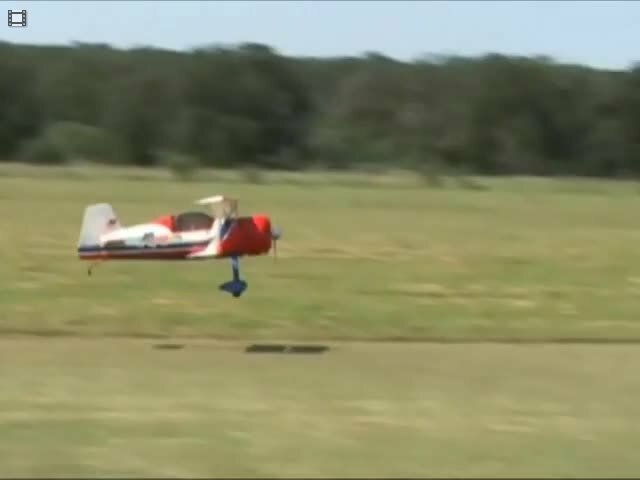 Jason Riches shown here flying his very fast Twinstar. Randy Rich with his Pitts Python with an Aero 200. Randy Rich flying his Pitts Python. Lee More stands with his Bucker Jungmeisterwith a Laser 150. Richard Storm's Hog Bipe with a ST 91. David Benarides with his Neuport 28. Ron Royer with his 1929 Great Lakes 2T1. Paul Currey with his P47 Razorback. Jim doing a little control line flying. Johnny Longeria with his special elongated fuselage called the "MoAss". Andy Boisseau flying his Liberty Sport. Jon Huston with his A-10. Event CD Gary Rice (Center), Chuck Krupczak (Right TriCty Flyers Club President), George Sheffield (Left). Linda Rice spent both days managing the apparel and event memorabilia table. Great looking shirts and caps for this event. Jim received an Award for his service to the AMA and District 8. Presented to him by his AVPs. Gary presents an award to Second Chance Hobbies for their continued support of this event. Scott Hooper received the "Rice Family Award". Gary presented the "Pilot's Choice" Award to Butch McEachern. Randy Rich received the "Mr Multi Award" for his Pitts Python. Jim presented Gary the "Helping Hands" Award for his efforts in putting on this event.